Facebook announced four new changes to its data policies on Wednesday. It is part of the continued response to a bruising data handling scandal sparked by revelations about Cambridge Analytica. The company said it would reshape its privacy menus, rewrite its terms of service, and introduce a new way for users to access copies of their data. The update does not, however, appear to give users any extra ability to make Facebook delete data. Facebook is overhauling its privacy controls in response to the Cambridge Analytica data scandal, which has wiped some $US100 billion (£700 million) from its market value. Senior executives published a post early Wednesday morning announcing that privacy controls would be simplified and made more prominent to “put people in more control” of their information. The changes, which will be made “in the coming weeks,” will allow users easier access to copies of the data Facebook holds on them, so they can decide whether they are uncomfortable with what the company knows. FacebookA Facebook mock-up of what the new privacy screens will look like. The update does not, however, appear to give users any extra ability to make Facebook delete data it holds on them while continuing to use the service. Facebook highlighted tools to delete things people have shared to their profiles – pictures, contact details, links – but not other personal information Facebook may have collected without the user publishing it on their page. The changes were outlined in a blog post entitled “It’s Time to Make Our Privacy Tools Easier to Find.” It was written by Erin Egan, a senior privacy official, and Ashlie Beringer, a high-ranking Facebook lawyer. Making privacy controls easier to find and use. Adding a new shortcuts menu to draw several different settings together. 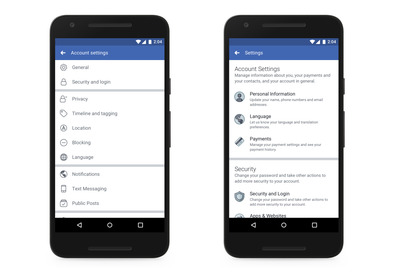 Introducing an “Access Your Information” tool to let users download the data Facebook holds on them. Rewriting its terms of service to better explain how it holds and uses data. It follows one of the worst weeks in Facebook’s history after whistleblower Christopher Wylie outlined how the data company Cambridge Analytica obtained data on 50 million Facebook users. 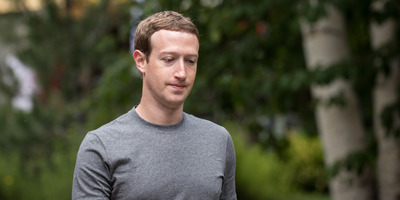 Although the policies which allowed the breach to take place had already been changed, it marked a watershed moment for scrutiny of how Facebook handles information. Founder and CEO Mark Zuckerberg apologised in person for the scandal, and outlined a host of other steps the network would also take. He has also reportedly agreed to provide testimony to Congress.